I used this quote to close out a training one day and ironically I also made it out to snowboard that day. Now if you have had me give an education piece at your chapter in the last few months I warned you about a snowboarding blog, and well, here it is! The more I thought about it, the more I realized how much it applies to everything we do in life. Leaving a career for something completely different can be scary and frustrating. Scary because who knows what the future will bring, but frustrating because you have to start at square one. Having a kid... I had no idea what I was doing when Isabel was born, and I know I will never know all the answers, but the further you get into parenting, the more you become an expert on how to raise them. My wife and I are talking about a second child and I have that feeling of being scared, because I feel so comfortable with one, what will it look like with another!? But that is having a family I am learning, and would not trade it for the world. Regardless of what it is if you try something new and expect to be perfect at it right out the shoot, then you are in for a rude awakening. So let’s put this idea into BNI. 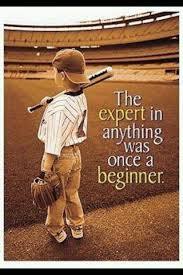 When you join a BNI chapter it is a new adventure and you start as a beginner. It may take a while before you start passing a lot of referrals. This is due to just getting to know everyone and working the VCP process, but it also has to do with the fact no one is a natural born networker. You can be out going and a people person, but that doesn’t make you good at connecting members with the referral they are looking for. There is a podcast where Dr. Ivan Misner shares a story of a woman that is considered the “networking Queen” of the town. She was at all the events and everyone knew her. But when he had the chance to talk with her she opened up and said she never gets referrals. It was a great example to show how important it is to cultivate the relationships in BNI to see results, actual results! We all start as a beginner but we can become an expert the more you participate in the chapter and the more you get to know your fellow members. This year, I got a new snowboard (I had my previous board for about 7 years). The new board was bowed opposite then my previous board and apparently that makes a huge difference. I did not learn this until my first time riding the new board. After many runs down the hill I got more comfortable to the change, but it was a hard learning process. Now my jumps are looking much better and I have a few new ground tricks that I could not do with my old board. Treat your membership the same way. If you have been doing the same thing for the last few years in your chapter, maybe it is time to try something different. Just remember to stick with it and don’t give up if it doesn’t work right away. I contemplated on returning the board and getting one like my old one, I am now happy I did not do that! Write down your fellow member’s referral request for the week and look at it every day in the morning to help keep the referrals top of mind. Mark a day each week to do a one to one, and commit to it EVERY week. Improve your follow up with your members and your referrals. There has been a lot of talk on how important follow up is lately! Invite more! It always impresses me when I get to hear how people invite to their chapter. Most of the time it is as easy as asking the question “what is your plan on producing referrals?” Great opening question to open the door to invite them to your chapter. No matter what you try I want you to keep two things in mind. When you start doing something different you are a beginner, but the more you do it the more of an expert you will become. Second, new things can be uncomfortable and even hurt sometimes, like a new snowboard, but once you get past the learning stage you will find you old routine is now improved and you may even have some new skills you did not have before. So challenge yourself to “get comfortable with being uncomfortable” because it will only lead to bettering yourself, your business, and your BNI chapter.